john4jack (Corvallis, Oregon, United States) on 12 February 2014 in Architecture and Portfolio. 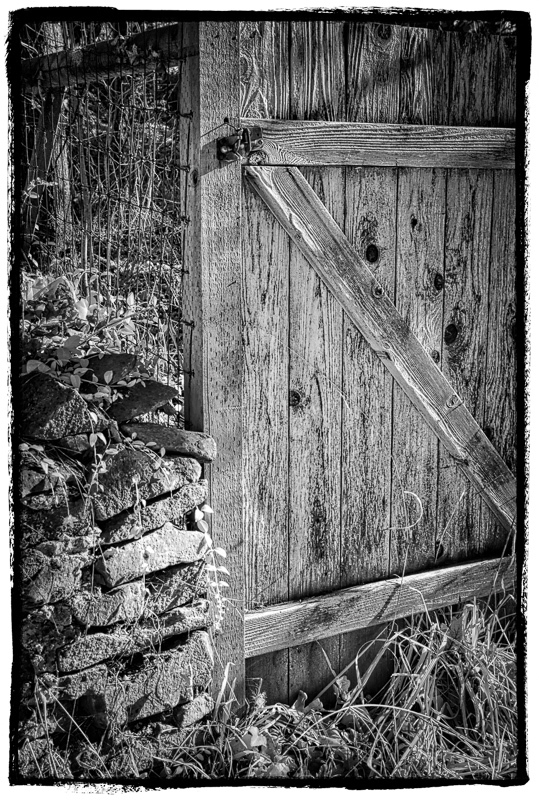 Great b&w image of this wooden door. The lighting emphasizes the vein really well; I would love to run my fingers over it to feel the texture. A photo with great textures and beautiful b/w. Beautiful shot..love the light and all the textures in it ! A fine close shot of this gate and its weathered wood textures. I like the processing you used. A cool shot of the rock wall and gate. Lovely tones and textures. Beautiful wood grain patterns captured under the sunlight!! Nice combination of natural elements - wood, stone and grass.